Mr. Xu Xingli, Non-executive Director and Chairman of Steve Leung Design Group Limited (left), and Mr. Steve Leung, Founder of Steve Leung Design Group Limited (right) strikes the ceremonial gong to celebrate the commencement of trading of the Company's shares on the Main Board of the SEHK. 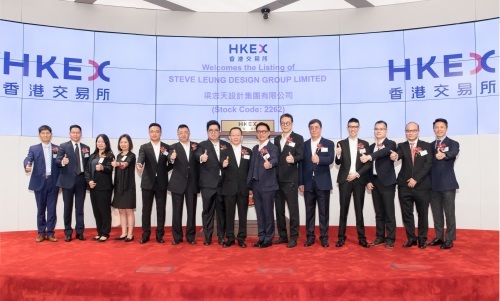 HONG KONG – (ACN Newswire) – Shares of Steve Leung Design Group Limited (“SLD Group” or “the Group”; stock code: 2262), an award-winning and internationally renowned interior design services and interior decorating & furnishing services provider headquartered in Hong Kong, commenced trading on the Main Board of The Stock Exchange of Hong Kong Limited (“SEHK”) today. SLD Group’s public offering received overwhelming response, with the shares about 125 times over-subscribed. 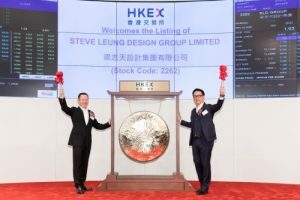 Photo1: Mr. Xu Xingli, Non-executive Director and Chairman of Steve Leung Design Group Limited (left), and Mr. Steve Leung, Founder of Steve Leung Design Group Limited (right) strikes the ceremonial gong to celebrate the commencement of trading of the Company’s shares on the Main Board of the SEHK. 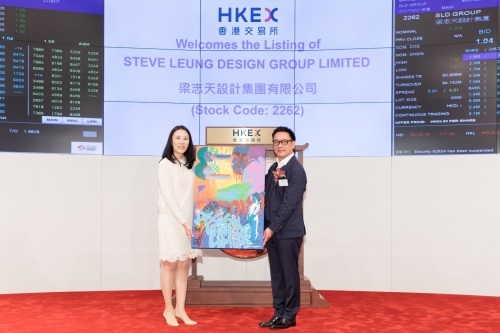 Photo2: Mr. Steve Leung, Founder of Steve Leung Design Group Limited, (right), presents a unique painting drawn by one of the SLD Group’s colleagues who is a famous graffiti artist in Hong Kong which demonstrates a combination of SLD impression as a souvenir to Ms. Catherine Yien, Member, Listing Committee, The Stock Exchange of Hong Kong Limited (left).